A sure sign of summer is adorable dresses. This chopstick A-line version for girls or a simple ruffled sundress will definitely start your season off right. Always wanted to make skinny pants? Here’s your chance to make your own with this free pattern – I love their floral print. 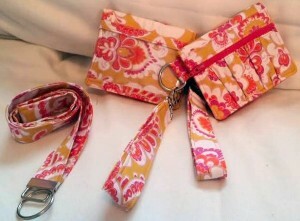 Not only does this post have a fabric giveaway, but the instructions for the cutest purse by Sew Sweetness. Keep everything organized in a pretty little package with these dotty pouches. Every girl needs a good tank to wear over the summer. This version looks like it’s easy to make and stays fit on active ladies. Give baby something they’ll love to play with. Make them rattle balls! I don’t have a green thumb, but I like to pretend like I do! Consequently, I’ll need one of these split aprons from Sew4Home. Need a quick back to toss a bottle of wine and a few snacks into? This little tote is perfectly sized for a theater in the park type evening! WobiSobi has some of the cutest t-shirt refashions and her latest is no exception – the strapless ruffled shirt. Great basic tees can go with everything from dressy pants to messy shorts. 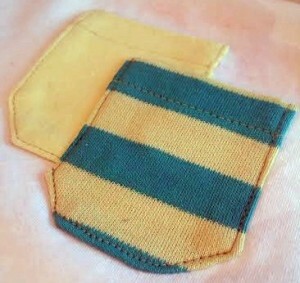 Learn how to make yours (or grab your pattern for a size medium) here. I don’t know about you, but I’m hard on wallets. Consequently, I wind up changing mine often – this version with tiny ball fringe looks fun to make and carry! This entry was posted in General on May 29, 2014 by stacy. Last week, Blank Slate released a new pattern for boys and I had to jump on it. 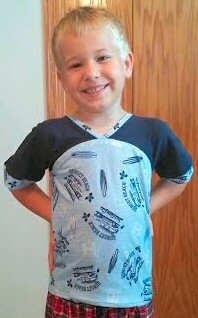 Not only was it a cute jersey style, but I rarely get to sew for my son. Initially I had wanted to do his shirt in “all solids” (and create the number in the back as well), but I discovered that a lot of my stretch fabrics are pretty girly so I went with a beach themed print and a matching solid for the yoke. The results? “Meh”. I have to admit, I’m not over the moon with the finished shirt. First off, it’s a much snugger fit than most of his wardrobe so it looks ‘different’ on him, yet the sleeves are fairly wide. I also wish the yoke was more straight across (instead of curved) and that this area was a bit longer in general. 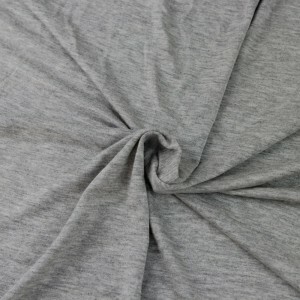 As for sewing, it was easy to construct and the instructions were clear – making it a good pattern for beginners (plus the only hem you have to put in is at the bottom). I also like the option of being able to add numbers to the back of the shirt, which would definitely change it up some. However, I’m not sure if I’ll make this one again – if I do, I think I’ll make a few modifications and see if I’ve improved on it some. This entry was posted in General on May 28, 2014 by stacy. I also managed to sneak in a bit of sewing as well. There seems to be a lot of babies being bornalmost born right now so I started whipping up a few gifts – burp cloths! These, by far are my favorite style – cloth style diapers transformed by a strip of 6 1/2″ fabric! Not only are they the perfect size, they are super absorbent and a great way to coordinate fabrics with bibs, bags, and blankets. I plan on making a few bibs and hats in the next few weeks as well – I love sewing for babies! This entry was posted in General on May 27, 2014 by stacy. Unbelievably, yesterday was the last day of school. Not only did we have a great kindergarten year, but Easton’s teacher was fantastic as well (she was also Taylor’s 11 years ago, so I figured that she needed a special, handmade gift(s). No you’re not seeing double, I made two more Get Carded wallets (the other was for a graduation gift) and a matching lanyard this week! Now that they’re done, I am kicking myself for not making two more because I decided that my mom could use one for her birthday and another one of Taylor’s friends have made a request for one (eventually the entire cheer squad will have one)! This entry was posted in General on May 23, 2014 by stacy. Don’t know what to make for Father’s Day? How about a stack of shorts he’ll want to live in? Eliminate the question, “What’s for lunch?” when you whip up one of these vinyl lunch bags! You may want to keep snails out of your garden, but you won’t mind putting them in your home when they’re the cute ,stuffed version. If you plan on traveling this summer, this Bowled Over bag will have you going in style. Then make smaller bags to keep your stuff organized! Who needs a deer head mounted on the wall when you can have…. a flamingo? A new take on little zippered bags – this one has two, separate compartments and is very easy to create! Dress up boxes don’t have to be just for the girls. Make a set of superhero costumes (no sew even) for the boys and you’ll keep them entertained all summer! Sew a beautiful bag by stitching together ribbons to make your own material. Create a top in 30 minutes. Memorial day means lots of cookouts and picnics – cover your food with these pretty bowl covers. Stitch up a pretty drop waist dress from a purchased shirt and a bit of fabric. This dress by Anna Maria is aptly named – Piece of Cake! Make a maxi dress without a pattern (and a few simple rectangles! If your kids eat ice pops, chances are they’ll be complaining about frozen fingers. Eliminate the cold with felt holders. This entry was posted in General on May 22, 2014 by stacy. Today (at noon) begins the Hot Patterns Blouse Back T sew along and for once, I’m not quite prepared to start – I need fabric! I’ve been mulling over what I might do for about a week now. Do I go with a printed knit (I wanted to use a hot pinknavy stripe) and a sheer back (finding a sheer navy has been difficult) or a solid jersey with lace like this pretty version from VS? Chances are, I’ll eventually make both. In the mean time I should really narrow something down…. and go shopping. Anyone else joining along? What have you decided to do? This entry was posted in General on May 21, 2014 by stacy. 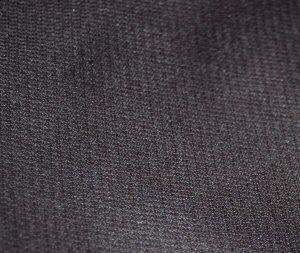 After cutting out the pocket, you use a template (that you attach to something firm – I used cardstock) to help press under the raw edges. I think this helped keep everything very crisp, but word of advice, watch out for the ink that you use during printing – mine ‘melted’ while I was ironing. Steph’s advice is to skip the pins! I don’t know why I never thought about this before because it does totally ‘distort’ your crisp pocket (especially on a knit). Instead I used a spray adhesive and plan on using this method from now on. This entry was posted in General on May 20, 2014 by stacy. After two very successful projects using Papercut Patterns, I was excited to hear they were releasing a new line last week. Not only were they trendy and cute, but they were just my style – activewear! I immediately purchased the Pneuma Tank – I skipped getting the physical pattern and opted to go with the ‘instant gratification’ PDF version instead (it’s a bit more cost effective plus you don’t have to wait for the patterns to be shipped to you!). 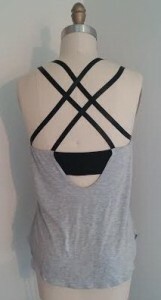 While I had most of the materials on hand to make this top, one thing I was missing – Bra Strapping. Most brick and mortar stores carry (pre-made) bra straps, but finding the plush back elastic by the yard that is used for bras is somewhat more difficult. 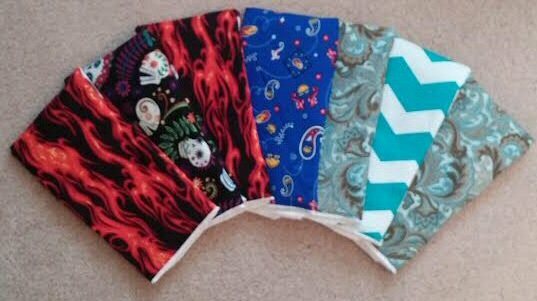 There are a few online stores, etsy and ebay retailers that can sell you some yardage, but I am fortunate, I have Needle Nook Fabrics (which specializes in stretch fabrics and bra making materials) close by (while they don’t have an online store, they do take phone orders. Bra strapping elastics run from .80-1.25yard depending on the width and color you choose). In a pinch, you could also make you own straps (which would be great if are unable to find strapping to match your bra color) – but the thought of all that tube turning made me cringe! Putting this tank together was fairly easy, but I made one big mistake in my cutting (and I didn’t realize it until after it was almost completely put together) – while I cut the back of the bra correctly for the width, I miscut the length (I cut the wrong dashed line) so my marking for the tank back was off by over an 1″. Consequently, the back doesn’t drape as much as intended (which totally explains why my gathering in the tank wasn’t that much) and the back strap is spaced further apart. With that said, it still works, but I’ll fix my error for the next go around. Yes, I’ll be making more…. my daughter took over this one as soon as she saw me snapping this photo. This entry was posted in General on May 19, 2014 by stacy. The other day, I sat lamenting at the state of my serger. It just hasn’t been ‘right’ in ages and I dread taking it to the shop because I am pretty sure they may tell me to scrap her and get a new one. It’s gotten so wonky that I’ve found myself skipping the overlocked edges and sewing everything on my ‘regular’ machine. 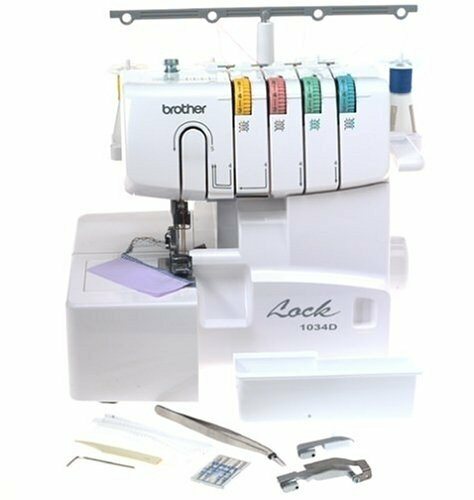 It was a few short hours after I contemplated what I should do, that I got an email from Perfect Pattern Parcel that I had won their serger giveaway! And the wonderful machine arrived super quick – a day later! So a huge THANK YOU to PPP for making my month and getting me excited to serge again! Speaking of Perfect Pattern Parcel – can it hurry up and be the 30th already? I have seen several Instagram photos of testers sewing up Made with Moxie’s Prefontaine shorts for women and saw a few people commenting that it was going to be in the #3 grouping. I live in those style of shorts all summer long and need that pattern in my life. Of course, I’ve gone nuts recently with the pattern orders – I just picked up the Just a Jersey T-shirt for boys and the Pneuma Tank (I am also seriously considering the Soma Swimsuit and the Ohh La Leggings) as well as the ones I ordered the previous week. Whew! 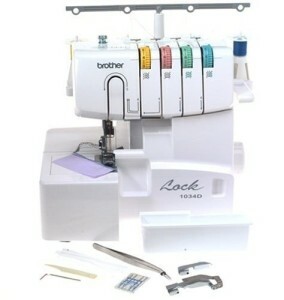 I am going to be one busy girl – my husband doesn’t call my sewing room a sweatshop for no reason! This entry was posted in General on May 16, 2014 by stacy. Shorts weather has almost arrived. Make a quick and easy pair for your child, then share them with Oliver+S to win free patterns! Even if you’re not going on a trip soon, you’ll still want to make one of these cute Ellie Travel cases. I’m sure by now you’ve seen that it’s Sew Mama Sew’s give away day. Don’t forget to enter these for your chance to win FabricSupplies and various handmade items. This Union Jack laminated subway bag is totally awesome and definitely on trend. I need an excuse to make one, now! With my daughter’s birthday coming up, I’m always on the lookout for cool patterns that she may enjoy – I think this Snappy Mani Pouch is totally awesome (and I love the nail polish pockets) and may just be one of her gifts. Ditch the plastic checkbook cover the bank gives you and make your own, stylish version. Maybe if I made one, I’d actually be able to find mine! BooBoo bags never looked so cute (I totally need to make one that says “OUCH”). Use your scraps to make…. a scrap basket! Need a bag that you can whip up in no time and head to the beachpoolschool? Then this drawstring pouch is the perfect fit. I’m also partial to this drawstring backpack made from a favorite tee (shameless plug). I know these capris are made for girls, but I think it would be fun to have a pair with ruffles this summer – just for me! If you’re looking for a fun skirt this summer, you’l definitely want to check out this rugby stripe. Almost every little girl will want a Frozen inspired dress. This tutorial shows you how to embellish yours and create a matching headband. Making elements for your kitchen is easy, less expensive, and much nicer made than store bought versions. This hot pad tutorial is a great example. This entry was posted in General on May 15, 2014 by stacy.